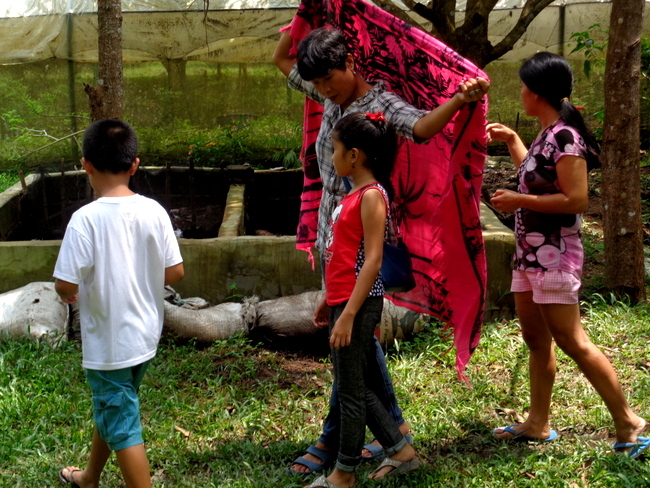 Guimaras Wonders Farm: Integrated Agro-Ecotourism Destination was the latest stop in my asawa’s search for new flowers and plants. My wife is in the initial states of a landscaping project at our new home in the Philippines and needs some fresh greenery for a batch of pottery we have ordered. Rose Grieser and her husband, Erwin Grieser operate an 8-hectare organic farm and raise mangoes and vegetables. 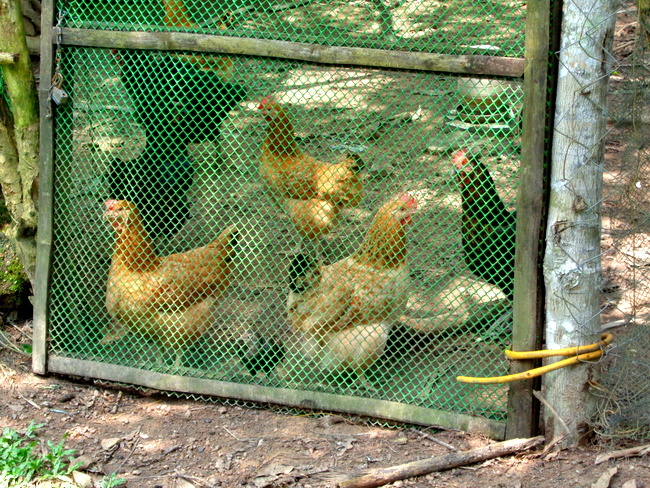 They also grow organic chickens, see photo below, and sell the eggs at The Atrium in Iloilo City for 12 pesos apiece, 26¢. We pay 7 pesos each, 15¢, for extra-large eggs at Southern Trading in Guimaras but they are not pooped out by organic chickens. One of the couple’s big money maker are cucumbers. Every week they sell about 200 kilos to buyers in Iloilo at P55 per kilo, 1.17 US Dollars. Pilgrims, that’s over 200 US Dollars a week and that’s good money in the Philippines. Erwin and Rose used to work at a big hotel in Manila but decided to go into organic farming over 10 years ago and moved to Guimaras. Rose is a native of Bulacan while Erwin came from Austria. 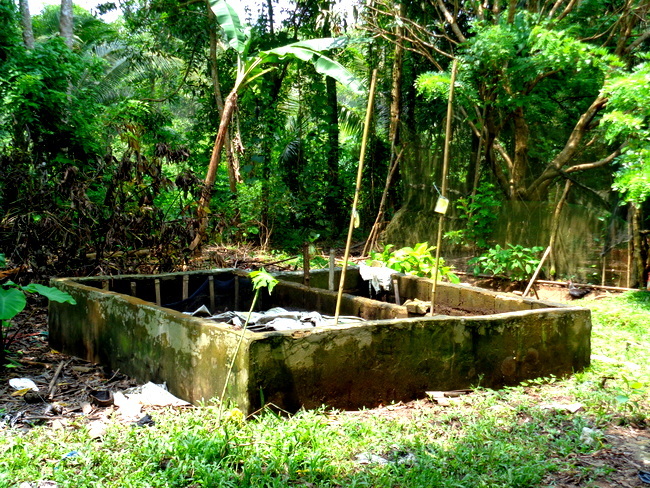 Here’s a look at one of the many composting bins found at the site. It was a torrid, blazing-hot day when we visited Wonders. 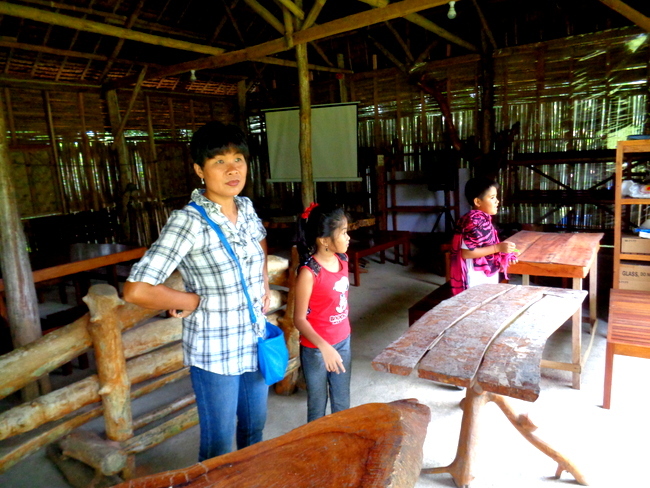 My lovely asawa was shielding our niece and nephew, who came along for the tour, from the sun. On the far right is our tour guide. We were fortunate to get a tour that day. The owners had gone to San Miguel for the annual fiesta and if our guide was not walking home down the road from Wonders Farm, located at Alaguisoc, Jordan, Guimaras, when we arrived, we would not have been able to check out the place. Google Maps shows the location is only 8 minutes from San Miguel via the Guimaras Circumferential Rd and they were correct. The farm is located near the ABS CBN tower. 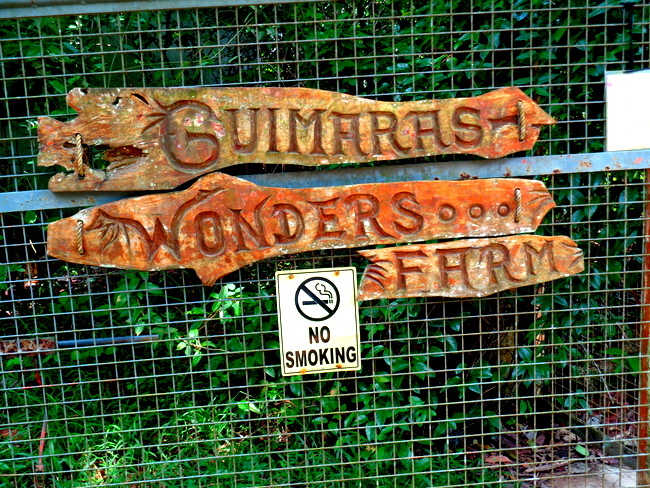 Look for a sign which displays the eco-friendly project Wonders Farm in participating in. 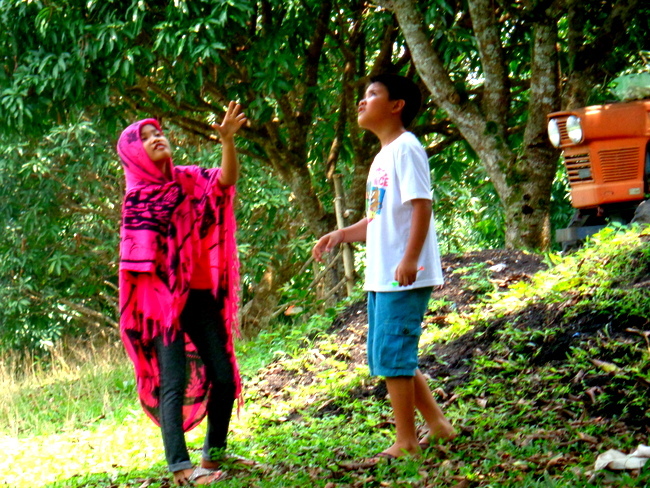 By this time JalAmiel, our niece, had confiscated her tita’s (aunt’s) shawl. She was checking out a bird singing a happy tune in a nearby tree along with brother Joreale. It was good to get the kids away from video games and The Cartoon Network for awhile. They did not have school that day, due to the fiesta. Our niece and nephew did not have school last Thursday and Friday, either. They were out for a Muslim holiday. The kids are Catholic as the vast majority of their classmates are. They might not get any “snow days” off but they seem to get a plethora of non-school days due to sick teachers (there are no substitute teachers) and holidays which are not on the school calendar but magically appear. 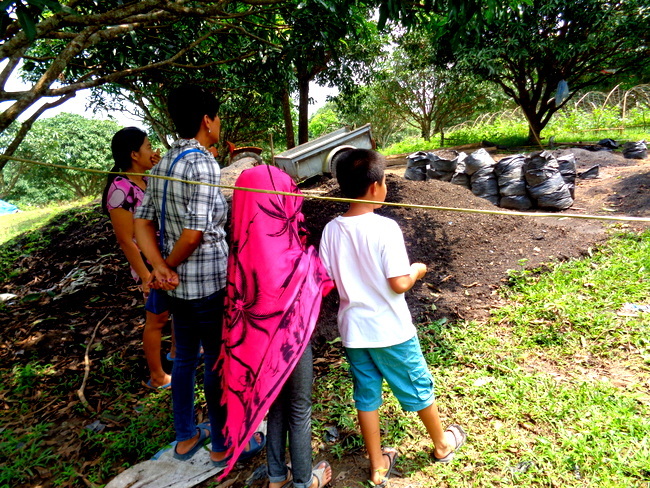 The crew takes a look at bags of some of the manufactured compost. 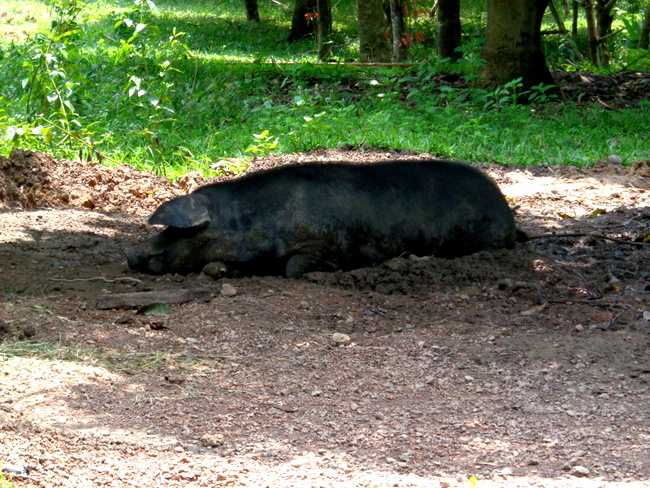 Along with the chickens, the resident carabao was also on hands as was a fat sow taking it easy underneath a tarp. 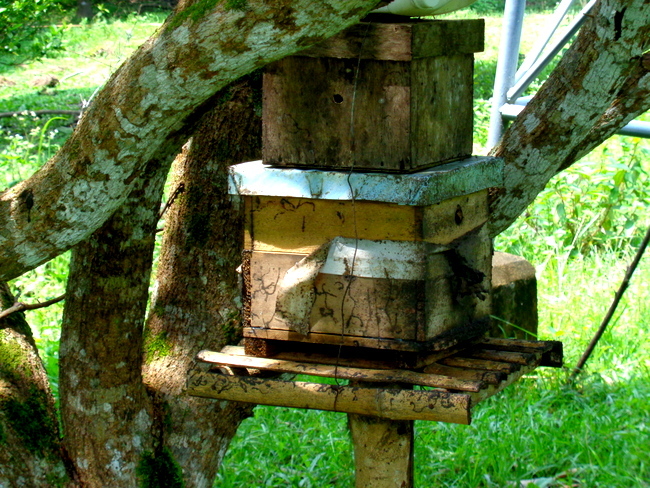 Here’s a native bee hive. I tried to get a closer shot of the tiny bees, which my asawa said do not bite, but I was not able to get a decent picture of them. 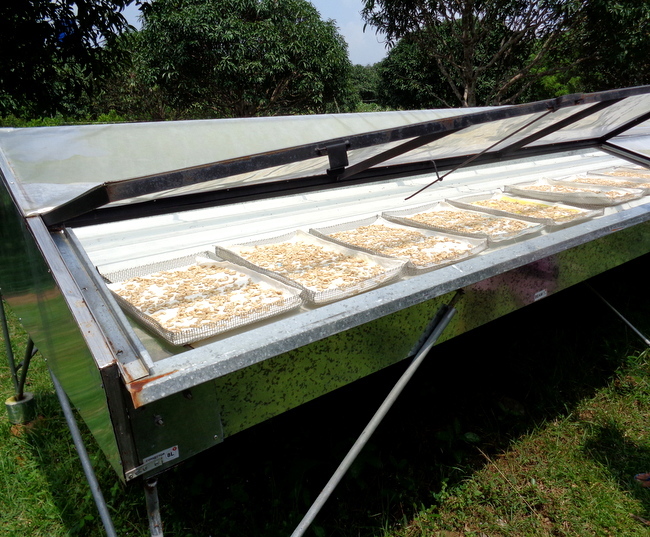 Wonders Farm uses solar energy to dry their seeds as seen in the next shot. Wonders Farm also has a training center, shown below, in which those wanting to learn more about organic farming can do so right on site. 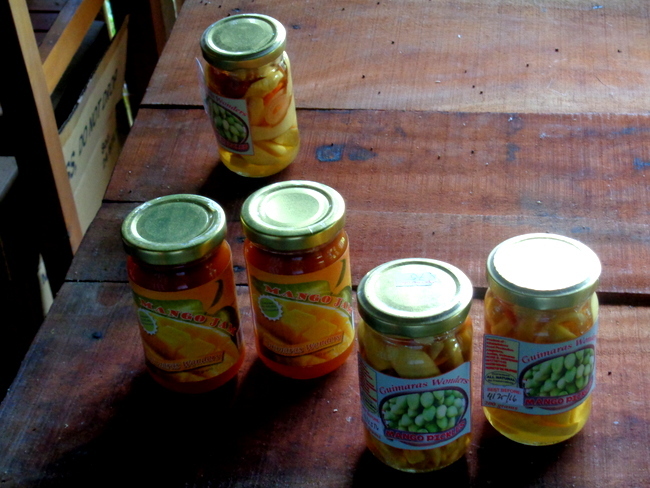 The farm also sells a variety of jams and pickled mangoes. I tried the mango jam for my merienda this morning and it was very tasty. 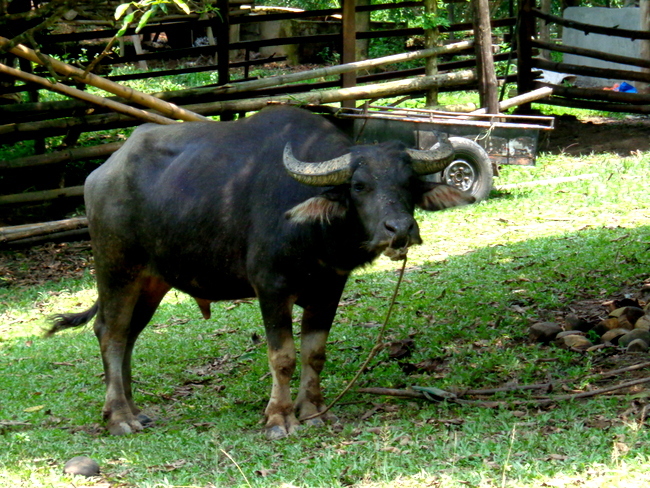 Wonders Farm is proof that you can run a successful business in the Philippines. Many thanks to our helpful guide (sorry, we didn’t get her name.) You can learn more about the farm via their Facebook page. Sounds like a place Anne would like. That’s a lot of cucumbers to sell in a week. Glad to see another foreigner that has a successful business. Yep, I’m sure Anne would like the place, Papa Duck. If you’re into organic farming, this is the place to see. I was amazed that the farm sold so many veggies. They seem to be doing very well. this is a place my sister-n-law and her husband would really enjoy to visit. 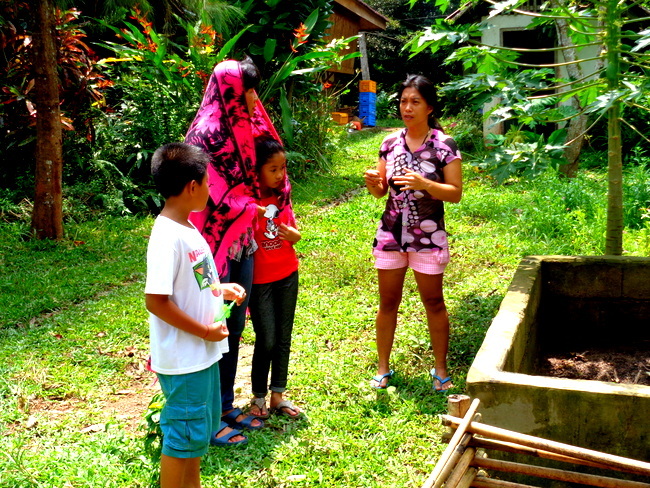 as they do a lot of organic growing of vegetables in sorsogon. mostly for own use. My friend, Captain Tom, also did some organic rice farming at our former location, Roger. Seems to be very popular now. Yes it is.even here in the states people are getting back into organic and natural raised vegetable, fruit,and meats which is good. I for one don’t think all that processed food and food raised with drugs and chemicals is good for us. The healthier we eat the better. Beer has to be healthy look at it’s ingredients LOL…..